Move harmful toxins out of the body, cleanse the colon, and promote weight loss with this all-natural herbal cleanse. 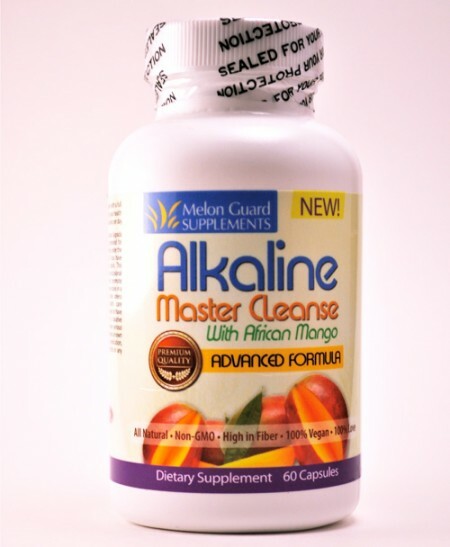 Alkaline Master Cleanse with African Mango is a unique advanced formulation of Alkaline herbs designed to cleanse the colon and promote weight loss. The natural levels of anthroquinione glycosides help stimulate the colon and work as an excellent laxative. Formulated by Dr. Aaron Stovall, this complete cleanse contains goldenseal root along with a number of other potent herbs that help all of your internal systems function more effectively and efficiently. Directions: Take 1-2 capsules daily for 7 days to cleanse colon and detoxify. Do not exceed 7 days.